United Nations has decried that 32 per cent of the fund needed to provide life-saving aids across the crisis ravaged North-east Nigeria in 2017 have not been contributed. In the latest North-east Nigeria Situation Update released by the UN- Office for the Coordination of Humanitarian Affairs (UN-OCHA) revealed that an appeal of $1.05 billion was made in 2017 to reach 6.5 million people in dire need of life-saving aid across north-east Nigeria. This made the appeal the fourth largest single-country appeal globally in 2017. It added, in the update, that in September, a second NHF 2017 standard allocation for $15 million was launched and was to be disbursed by the end of November 2017. 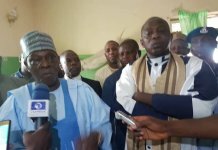 It said: â€œGiven the high number of schools destroyed by the conflict in the North -east, the sector continues to focus on the rehabilitation of educational structures. In October, repairs started on 105 permanent classrooms across Borno (49), Yobe (29), and Adamawa (27).